James Mello - Mowbray & Son, Inc.
James Mello graduated from Minot High School in May of 2000. He attended Minot State University for one year and then attended ND State College of Science in Wahpeton, ND for plumbing. Upon graduating in May of 2002 from NDSCS, he began his plumbing career with Mowbray & Son, Inc as a first year Apprentice. Over the years, James worked his way through the plumbing apprenticeship program with the Local #300 to become a Journeyman. 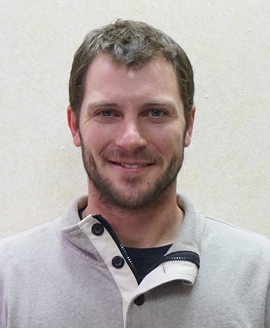 He is currently a foreman plumber with Mowbray & Son, Inc. James is a Licensed Journeyman with the state of ND. In addition, he is med-gas certified and CPR/First Aid certified. His most memorable projects as Foreman were the MSU Wellness Center, Erik Ramstad Middle School, John Hoeven Elementary, and the Ward County Jail Expansion.